Providing the best print services near you. Bernard expanded C&W Services’ print capabilities to a full-service print shop that can produce dozens of high-quality prints a week. Bernard oversaw the implementation of new training practices for the print team. C&W Services can now handle large printing projects in a matter of hours. Bernard first joined Cushman & Wakefield 16 years ago before transitioning to C&W Services in 2016. In his time with the company, he has helped expand our print capabilities to the point where we’re handling up to 40 high-quality print jobs a week. A history of delivering excellent print services. Raising the bar for print services. Bernard is one of many stories we have from the field that demonstrate how our team’s culture is the backbone of our service delivery success. We pride ourselves on delivering a broad portfolio of services, developing and empowering our people, and defining a new status quo. 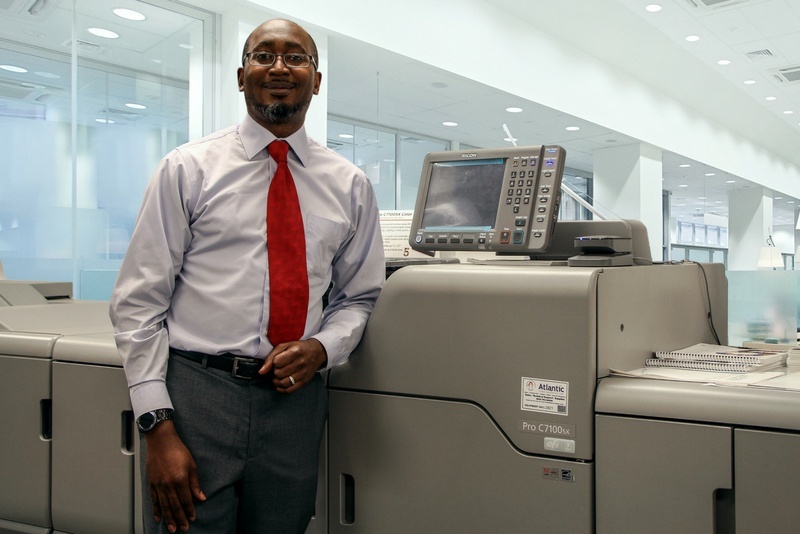 Get inspired and read more stories about employees just like Bernard.